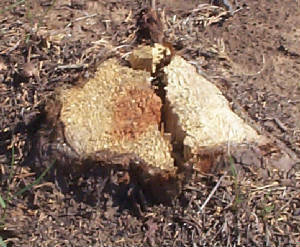 Typical stump result on larger trees. 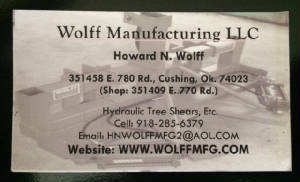 We manufacture HYDRAULIC TREE SHEARS, HYDRAULIC LIMB CLIPPERS, and VARIOUS SPECIAL APPLICATION tools. A NEW ITEM this summer is the FENCE LINE SHEAR, that allows you to cut up against the post, under the fence, on either left or right side, and reach under the fence about four feet to cut trees on your neighbor's side. At present, this does require use of a SKIDSTEER. 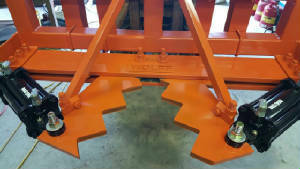 The first WOLFF TREE SHEAR was originally built in 1990. 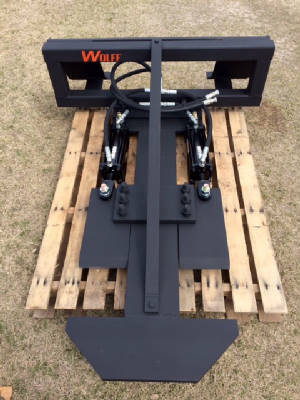 We have sold hundreds of machines in the United States to control cedar, hedge, or any unwanted trees. I manufacture a heavy duty shear. 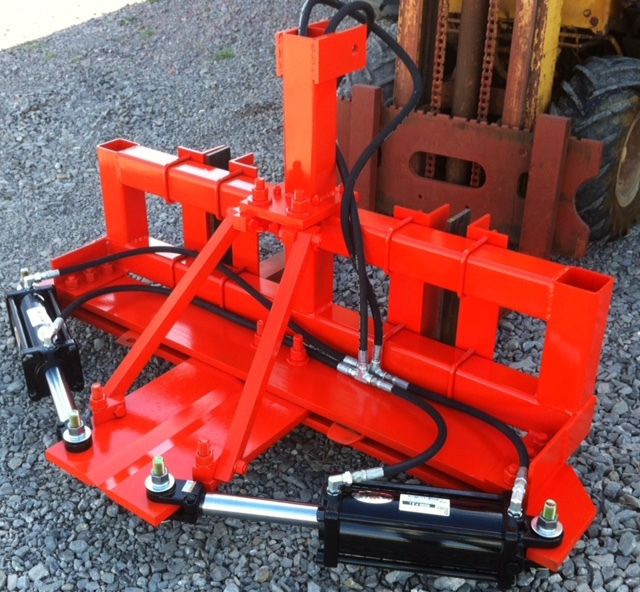 These units proved to be successful with many in the field in a variety of farm and commercial applications. These units are economical enough to own for occasional farm use, but also tough enough for daily commercial use. Some of the photos in this website may not be the latest design. I strive to continually improve a very good product, and have found it difficult to always keep website up to date. Some illustrations of use may show earlier models where I do not have current photo to illustrate same idea. Feel free to email me and ask for current photo of machinery that you are interested in. To navigate this website, CLICK on TOPICS at LEFT. You will be taken to additional photos and information. 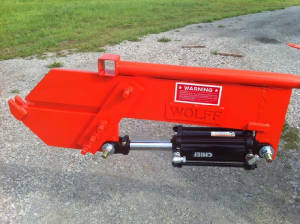 If you are the owner of a Wolff Tree Shear, and would like to sell it, send me a current photo, condition statement, your address, and phone number. I get request for used shears. I may help you sell it.